After 1982's somewhat controversial and questionably patchy release in "The Nylon Curtain", where Billy Joel tried, with varying results, to channel his inner John Lennon, he was back, two years later, trying to evoke the vibe of the doo-wop era of the late 50s/early 60s, in particular Frankie Valli & The Four Seasons. It was a far more commercially successful and accessible album than its often introspective, angry and, at times, plain weird predecessor. Kicking off with the upbeat and harmonious "Easy Money", we then get a real Joel classic in the sad yearnings of "An Innocent Man", with is beautiful vocal. "The Longest Time" is one of the most "doo-wop" of the tracks, great harmonies abound and a killer chorus, while "This Night" sees Joel stealing a riff from Beethoven, so to speak, for the chorus. "Tell Her About It" is a more down and dirty, slightly blues-influenced upbeat rocker. "Uptown Girl" sees Joel in full rich girl/poor guy mode and doing his best Frankie Valli falsetto. Unsurprisingly, it was a huge number one hit. "Careless Talk" is a fifties-influenced slower rock n roll number, while "Christie Lee" goes into full saxophone-driven rock n roll. "Leave A Tender Moment Alone" is a romantic "slowie" with an appealing harmonica solo from guest blower Toots Thielemans. 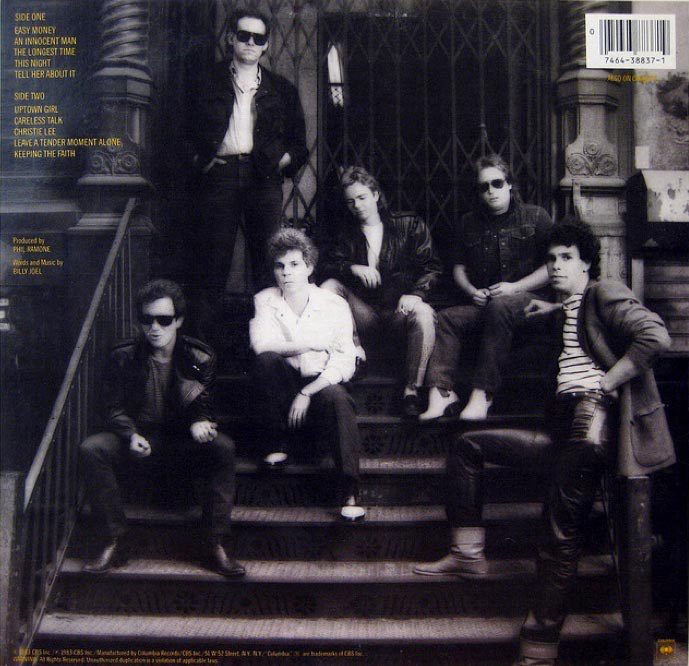 The album ends with one of its most attractive songs in "Keeping The Faith" - an evocative throwback to the fifties Joel grew up in with all sorts of contemporary cultural references thrown in.Yes, "The Nylon Curtain" takes much longer to get into, this album is more more instant, and, consequently a bit more disposable. A bit like "Born In The USA", "Brothers In Arms" or "Thriller". 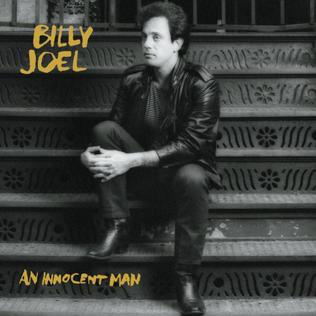 I have to admit I listen to other Billy Joel albums a lot more. Not to denigrate it, though, it is a good one.